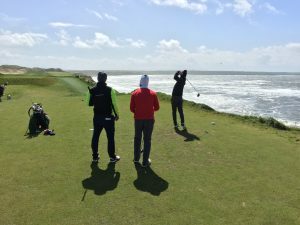 The Social Media Open has been going since 2013 at some of the finest golf courses in Ireland – Adare GC, Ballybunion, Castlemartyr, Dooks, Doonbeg, Mount Juliet, Old Head and Tralee. Next year is no different! The Social Media Open returns next April for its 7th Annual Tournament! The venues of 2016, 2017 & 2018 return once more as well – namely, The Old & Cashen Course at Ballybunion Golf Club, along with Tralee Golf Links & Dooks Golf Links to make up 4 fabulous tests of golf. The dates for the Event will be Tuesday 9th – Friday 12th April 2019. The 2nd Day of The 2019 Social Media Open will again involve a 2-course start taking in the World famous Old Course and Cashen Course at Ballybunion Golf Club on Wednesday 10th April. The famous English golf writer, Peter Dobereiner said of BallyB’s Old Course: “If sheer pleasure is the yardstick, then Ballybunion’s Old Course gets my vote as the No. 1 in the world”. According to Ivan Morris’ editorial on the Ballybunion GC website, “by the mid-1970s, there was a growing trickle of well-read, international visitors that overnight turned into a flood in 1982 when Tom Watson made his famous off the cuff eulogy after accepting the Claret Jug at Royal Troon: ‘Nobody can call himself a golfer until he has played at Ballybunion; you would think the game originated there!’ Ever since, the North Kerry links has been one of the most lucrative and recognizable brands in world golf. Knowledgeable golfers realize that if they haven’t played golf at Ballybunion their golfing education is gravely incomplete”. The 3rd Round of The 2019 Social Media Open will take place at the tremendous Tralee Golf Links on Thursday 11th April! Course designer, Arnold Palmer, claims credit for the front 9 but has always maintained that “God designed the back 9”, unfortunately for all golf fans Mr Palmer has now passed on but we can luckily still enjoy his amazing work in County Kerry. Tralee Golf Links only opened in 1984 but has been getting rave review ever since, as PGA Tour player Kevin Stadler attests to…. “My favourite courses are Pebble Beach, Spyglass Hill and Tralee Golf Club”. Not bad company eh! Beautiful views of Kerry’s picturesque surrounds and beaches are the perfect backdrop and the sounds of the Atlantic Ocean make up an ideal soundtrack to bring the curtain down on what we promise will be another excellent week of craic, with a bit of golf in between!! The Final Round of The 2019 Social Media Open takes us back to Dooks Golf Links in Glenbeigh. This beautifully located links course was a favourite of many a team last April and it promises to present a great golfing test once more along with the now famous Dooks welcome! Also known for its narrow links fairways and well contoured greens, you will get a real taste of traditional links golf at its very best. The west Kerry scenery and a scattering of gorse, heather and wild flowers will go down a treat as well. Dooks has been welcoming golfers since 1889 and the course has gone from strength to strength each year, we are very much looking forward to returning here on Friday 12th April! Other Packages available on Request – Contact Us for details. Along with the great golf and awesome accommodation there will also be some “social gatherings” organised over the course of the few days, always something to look forward to post-round! We are looking forward to another great few days of golf & craic in the South West of Ireland and hope you can join us next April! If you have any queries regarding The 2019 Social Media Open please email info@experienceirelandgolfandtravel.com or call +353-87-645 3537. 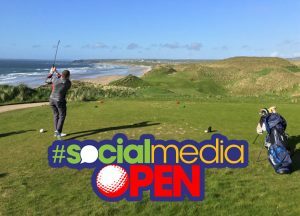 The Social Media Open has been going since 2013 at some of the finest golf courses in Ireland – Adare GC, Ballybunion, Castlemartyr, Dooks, Doonbeg, Mount Juliet, Old Head and Tralee. You can check out details of our previous tournaments below via the following links – Inaugural Social Media Open; 2014 Social Media Open; 2015 Social Media Open; 2016 Social Media Open & 2017 Social Media Open. 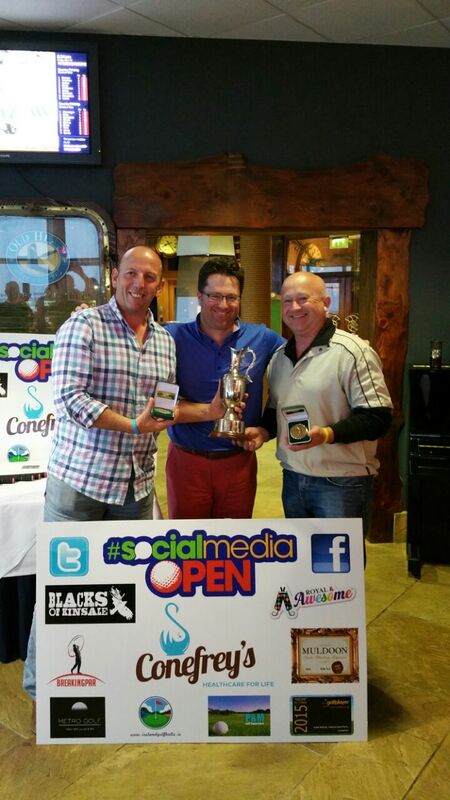 The Social Media Open returns again next April for its 6th Annual Tournament! 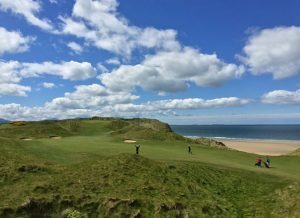 The venues of 2016 & 2017 return once more as well – namely, The Old & Cashen Course at Ballybunion Golf Club, along with Dooks Golf Links and Tralee Golf Links to make up 4 fabulous tests of golf. The dates for the Event will be Tuesday 24th – Friday 27th April 2018. The 2nd Day of The 2018 Social Media Open will again involve a 2-course start taking in the World famous Old Course and Cashen Course at Ballybunion Golf Club on Wednesday 26th April. The famous English golf writer, Peter Dobereiner said of BallyB’s Old Course: “If sheer pleasure is the yardstick, then Ballybunion’s Old Course gets my vote as the No. 1 in the world”. According to Ivan Morris’ editorial on the Ballybunion GC website, “by the mid-1970s, there was a growing trickle of well-read, international visitors that overnight turned into a flood in 1982 when Tom Watson made his famous off the cuff eulogy after accepting the Claret Jug at Royal Troon: ‘Nobody can call himself a golfer until he has played at Ballybunion; you would think the game originated there!’ Ever since, the North Kerry links has been one of the most lucrative and recognizable brands in world golf. Knowledgeable golfers realize that if they haven’t played golf at Ballybunion their golfing education is gravely incomplete”. The 3rd Round of The 2018 Social Media Open takes us back to Dooks Golf Links in Glenbeigh. This beautifully located links course was a favourite of many a team last April and it promises to present a great golfing test once more along with the now famous Dooks welcome! Also known for its narrow links fairways and well contoured greens, you will get a real taste of traditional links golf at its very best. The west Kerry scenery and a scattering of gorse, heather and wild flowers will go down a treat as well. Dooks has been welcoming golfers since 1889 and the course has gone from strength to strength each year, we are very much looking forward to returning here on Thursday 26th April! The Final Round of The 2018 Social Media Open will once again take place at the tremendous Tralee Golf Links on Friday 27th April! Course designer, Arnold Palmer, claims credit for the front 9 but has always maintained that “God designed the back 9”, unfortunately for all golf fans Mr Palmer has now passed on but we can luckily still enjoy his amazing work in County Kerry. 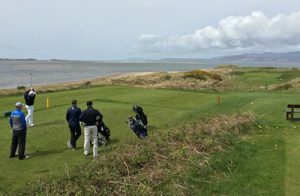 Tralee Golf Links only opened in 1984 but has been getting rave review ever since, as PGA Tour player Kevin Stadler attests to…. “My favourite courses are Pebble Beach, Spyglass Hill and Tralee Golf Club”. Not bad company eh! Beautiful views of Kerry’s picturesque surrounds and beaches are the perfect backdrop and the sounds of the Atlantic Ocean make up an ideal soundtrack to bring the curtain down on what we promise will be another excellent week of craic, with a bit of golf in between!! Along with the great golf and awesome accommodation there will also be some “social gatherings” organised over the course of the few days, always something to look forward to post-round! We are looking forward to another great few days of golf & craic in the South West of Ireland and hope you can join us next April! If you have any queries regarding The 2018 Social Media Open please email smopen@tomkennedygolf.com or call +353-87-6453537. What started off as a twitter conversation between some fanatical golfers in October of 2012 has definitely turned into something much more in just 3 short years. 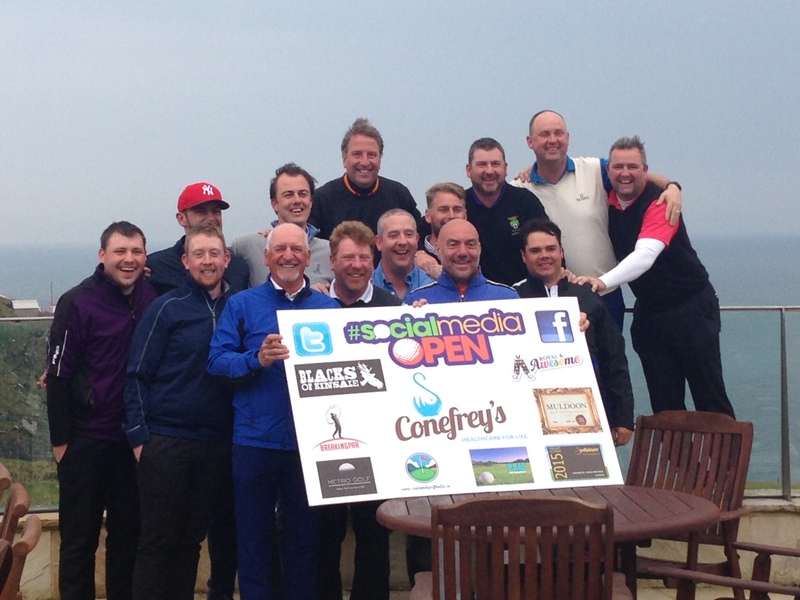 The Social Media Open has blossomed into an event with 100 golfers from its humble beginnings in late 2012. The first event attracted 40 golfers in 2013, then 72 in 2014 and 100 golfers this year. 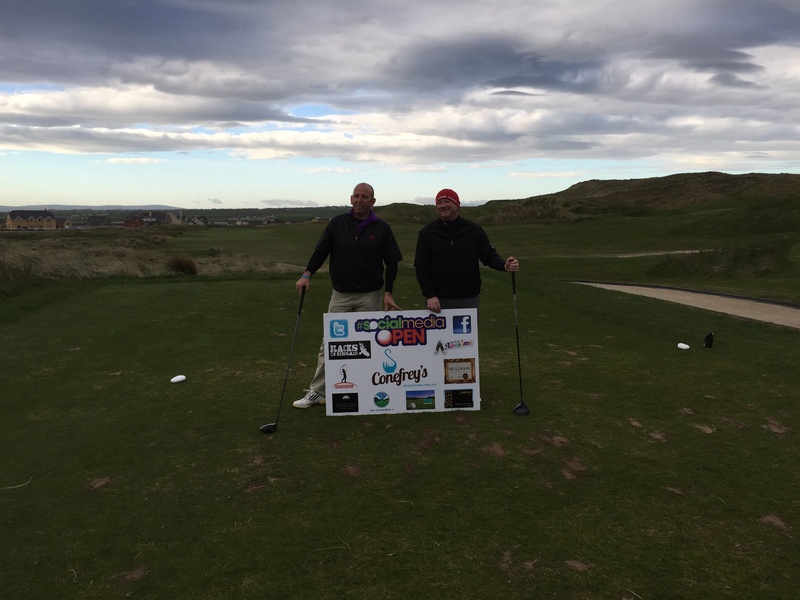 The 2015 Social Media Open started on Tuesday 14th April at Ballybunion’s Cashen course with players from the Netherlands, Norway, the United Kingdom, America, Italy, Ireland and of course the People’s Republic of Cork teeing it up to take on the 4 round challenge in teams of 2. The format would be the same each day – 2 scores to count on holes 9 & 18 with 1 score to count on the rest, 3/4 Handicaps would apply as well to ensure it would be a proper golfing challenge! Bob Leggett & Alan McGovern got our 3rd Annual Tournament underway in company with Rune Karlsen & Paal Kjelsrud from Tromso. The Cashen course was in great shape for the tournament’s opening round and provided a stern test in the wind on Day 1 – the best scores being 48 points from Niall Lenihan & Conor Sheahan, followed closely by Bob Leggett & Alan McGovern on 47 while Paddy Carmody & Joe McShane and Christopher Wojnar & Frank Kane shared 3rd spot on 46 points. Many bad scores were forgotten in our “social hub” in Ballybunion that evening, Mikey Joe’s, while the teams with the better scores regaled us with stories of how well they did. Tee off on Day 2 stayed in Ballybunion with the challenge of the Old Course presenting itself in all its glory. The work the team at “BallyB” has done has been truly magnificent and while not much has changed in the way of the layout, the overall look of the course is superb – not that it wasn’t great to begin with of course! 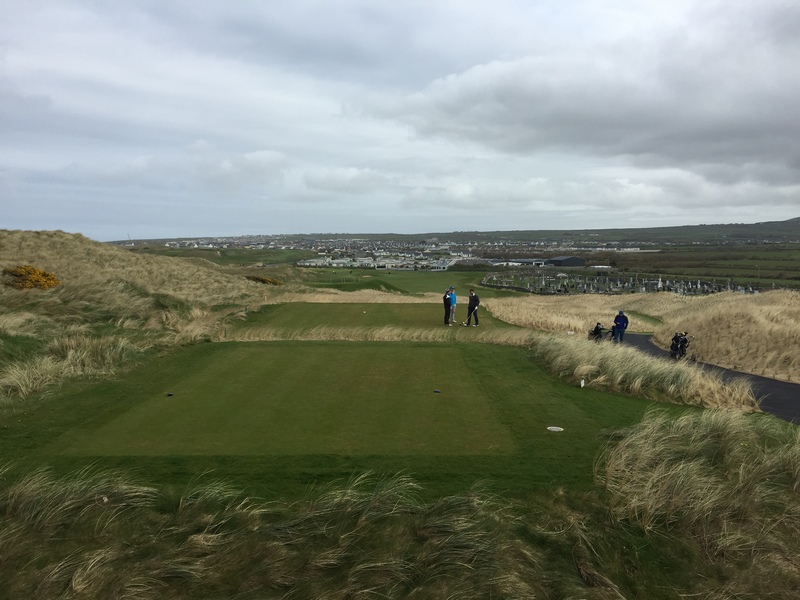 Wednesday 15th April presented slightly better scoring conditions but the tricky greens around this infamous links course ensured that the teams would have to battle hard to get favourable scores on their scorecards. The best score on Day 2 was 47 points from Shane Russell & Padraic Lynskey, which catapulted them into a tie for 2nd on 88 points, while Bob & Alan added a 46 point tally in the 2nd round to take a 5 shot lead from Christopher & Frank who managed a 42 point total on the Old Course. Day 1 leaders Niall & Conor lay in a tie for 4th with Richard Hurley & Stephen Finlan on 86 points after scores of 38 and 44 respectively on Day 2. The all Dutch team of Mathijs Fieten, who won Longest Drive at the Cashen, & Ludo Linsen were 8 shots off the pace on 85 points going in the 3rd Round at Adare GC. A great night was ahead of us at Pat Collins Bar in Adare where many a golfing story was told, and some non-golf activities were also enjoyed! With the majority of the teams staying in Adare Village or on the grounds of Adare Manor in the Townhouses and Villas it made for a very enjoyable evening, that rolled over slightly into the wee hours of the next morning!! The 3rd Round of the 2015 Social Media Open took us to the awesome Adare Manor Hotel & Golf Resort to take on the Robert Trent Jones Senior layout, his last ever design in fact. The American also designed the Cashen course so those in the field who hadn’t yet played Adare were in for a real treat while those returning knew the excellent golf course they were about to play. 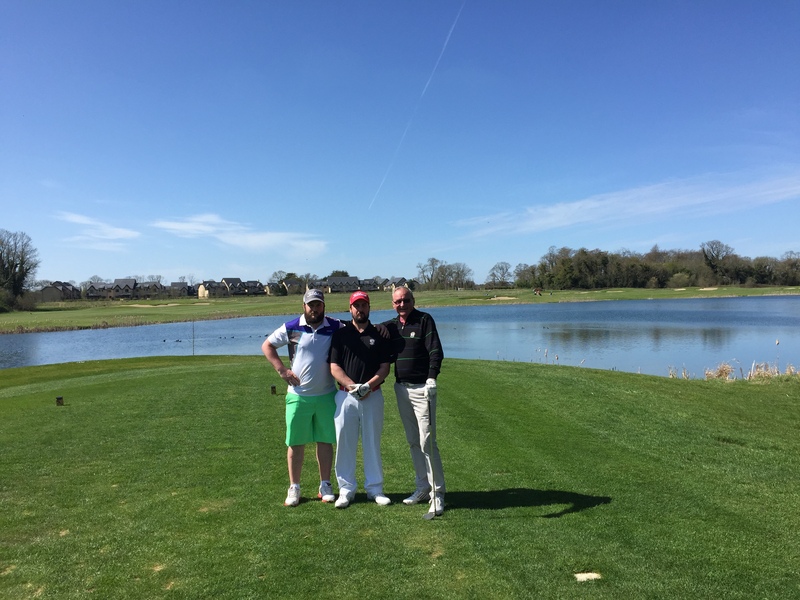 In benign scoring conditions, the actual scores on Day 3 did not reflect that with a few tough pin placements and the overall challenge of Adare GC taking its toll on some possibly tired and emotional golfers…….! 45 points was the best score on the day – with John & Liam Deasy, Dave McCarthy & Seamus O’Leary and Rune Karlsen & Paal Kjelsrud all achieving that feat. On the overall Leaderboard, with the field now split into “The Grace Murphy” Category for the top end and the “The Caillin Conefrey Shield” Category, for those who missed a cut of sorts, Christopher & Frank now led the way by 3 points from Dave & Seamus on 131 points going into the Final Round at Old Head. Bob & Alan, Rune & Paal and also Mathijs & Ludo were 2 further shots back on 126. Still in with a shout of bringing home The Grace Murphy Trophy and the 2015 Social Media Open title were Richard & Stephen on 124 and the Deasy’s on 123. 10 shots separated the top 10 teams and with the Old Head still to come anything was possible. In the Shield competition, John Simpson & Nick Coolen led the way on 112 just 1 shot ahead of Italian pair, Alex Filippi & Davide Devenuto, and also John Foster & Colm Kinsella. The Final Round, luckily for us, has always been at the Old Head Golf Links and long may this hopefully continue! We were again greeted by good golfing conditions, albeit a little more overcast and breezy than the previous days. Play started from 9.15am for Day 4 and although the previous night’s social gathering in the Folkhouse and Malt Lane looked to take its toll on some golfers this spectacular golf course ensured they thoroughly enjoyed their day. The new 13th hole was in play since opening last year and it definitely added to the already phenomenal layout at Old Head. For some golfers today this was a huge tick off their golfing bucket list, along with the other 3 courses as well as most had not played any of the South & South West’s finest tracks. In a year of playoffs on the PGA Tour there was 3-way tie for the lead at the end of 72 holes with Bob & Alan, Mathijs & Ludo, and also Dave & Seamus on 169. On the countback Mathijs & Ludo claimed 2nd spot from Dave & Seamus due to a superior final round while Bob & Alan claimed the overall title on the back 9 by just 1 point! Huge congrats to Bob Leggett & Alan McGovern on their victory, two absolute gentlemen and two fine golfers too – we’re sure they will give Grace Murphy a great home for the next 12 months! In the Caillin Conefrey Shield, John & Nick held on to win this category on 153 from Shay Kelly & John Mooney on 149. The Long Drives over the 4 days were claimed by Mathijs Fieten (Day 1), Alan Doyle (Day 2), Linda Toomey (Day 3) & John Deasy (Day 4). 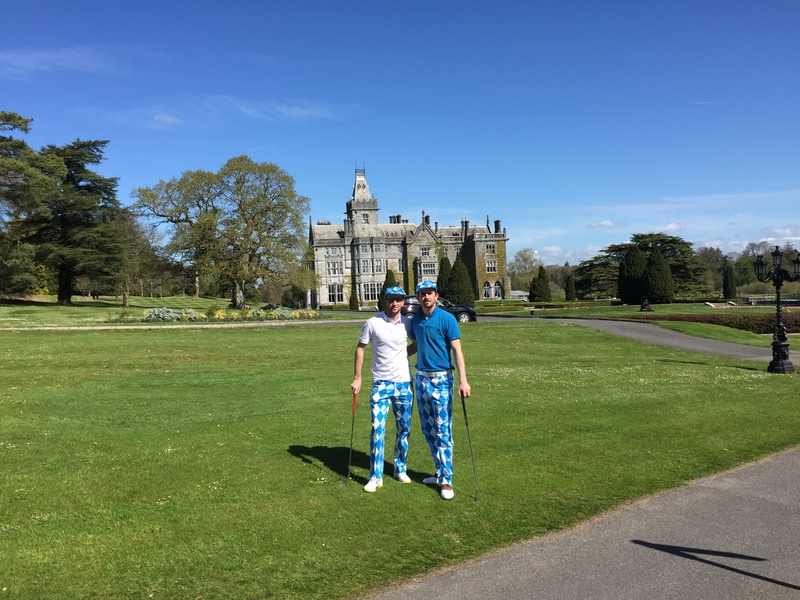 Closest to the Pin at Adare went to Keith Brannigan while the Golf Nut of the Week went to Mike Moriarty. We also had a Hole-in-One this week, on the 11th Hole at Old Head by Tadhg Harnedy, which added even more to an absolutely amazing few days. Now for some thank yous………. A huge thanks to all the players for making the Social Media Open 2015 the event it was, the atmosphere amongst the players (many of whom had never met before this week) was superb both on and off the course. Many thanks also to our sponsors and tournament partners – Conefrey’s Pharmacy, P&M Golf in Ennis, Blacks of Kinsale, Royal & Awesome, Muldoon Whiskey, IrelandGolfBalls.ie, BreakingPar.ie, Metro Golf Dublin and Golf Player Card – for their support of the event. To the one and only Ollie Ryan for his wonderful photography and also his help on the 1st Tee on Day 1! To Glen Holmes, for his great suggestion of running a Shield competition. 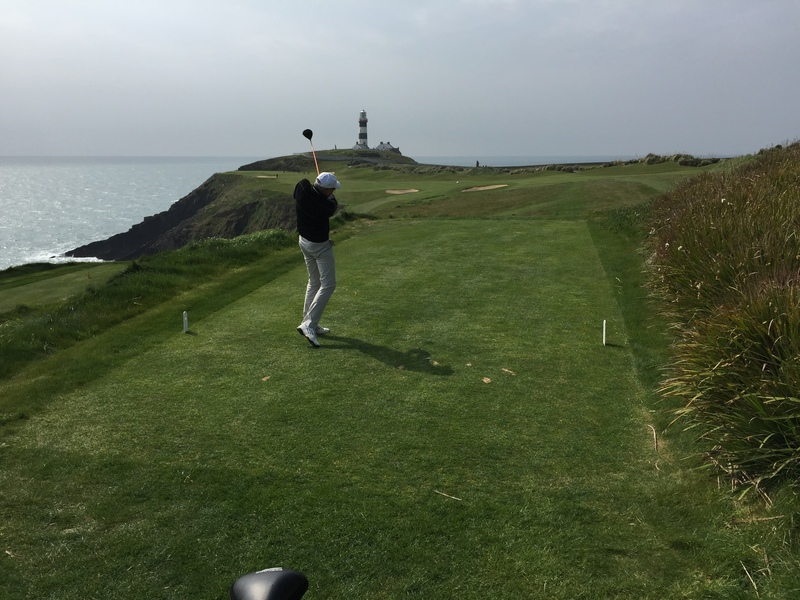 To the teams at all the golf courses – Ballybunion, Adare & Old Head – for hosting us over the 4 days and having all their courses in fantastic shape. To the many Guest Houses & Hotels for taking such good care of us all – top quality service from start to finish. And last but by no means least, to Tony Regazzoli and John Deasy for all their help getting some pre-tournament stuff sorted. All in all it was a wonderful week of golf and of course the craic wasn’t too bad either! Many memories and many new friendships formed too! The feedback we have received so far has been overwhelming and we look forward to hopefully seeing all of the 100 competitors in Ireland again next April, planning for 2016 is already underway! Check us out on Twitter and Facebook for updates and if you have any queries you can send us an Email as well.